Having provided climate control solutions for the 2006 Commonwealth Games in Melbourne, Active Air Rentals was called upon once again to assist with the 2018 games in the Gold Coast; in what would become the single largest temporary climate control project ever undertaken in Queensland, and the second largest in the whole of Australia. A project of this magnitude required a team with experience as well as access to a wide range of climate control and power equipment, and the flexibility to get the work done regardless of any obstacles. The project took over 12 months and countless meetings with the games organisers to complete. Providing a complete turnkey service meant not only planning and designing a solution, but also installing and commissioning the equipment, and maintaining the equipment throughout the event. “We provided both climate control and power solutions, so planning upfront was key. With so many moving parts and the critical nature of the event, there was no room for error,” said Shane. The project required over 50 individual pieces of equipment (not including ducting, fitting, or any other ancillary items) and over 20 staff and contractors from start to finish. Designing a solution was no easy feat. Working with the existing structure of the Coomera Indoor Sports Centre – a building which stands at 150 m long by 80 m wide and a height of 20 m – presented its fair share of obstacles. For example, the ducting had to be suspended 18 m off the ground not to obstruct the lighting truss system. Adding to this was the need to provide climate control without disrupting the athletes’ performances. “The last thing you want is a draught impacting a sport like rhythmic gymnastics with their ribbons and need for precision,” explained Jonathan Towe, Active Air Rentals Project Manager. State-of-the-art 3D modelling was used to map out potential air velocities within the space. Working with a European company, we were able to provide a visual representation of air velocities falling off as the distance from the duct increased. The model was used to design the perforations and consider the effect of cooling performance versus draughts. Our in-house staff of engineers, project managers, and technicians used this information to set up the airflow and duct inflation exactly as outlined to meet the design parameters. This required specially manufactured air handlers to be built which could be configured to top or side discharge, provide high-static output, and had a capacity control built-in. To accommodate the immense size of the structure, three sets of equipment were required to serve as the primary source of air distribution; each set consisted of a 750 kW chiller and two 350 kW air handlers. With such a vast number of people occupying the venue, a large volume of fresh air was crucial to meet Australian Standard 1668-2. This required additional 150 kW air handlers to be introduced in each set to pre-cool fresh air before it hit the primary air handlers. With high humidity and temperatures expected, an additional 200 kW chiller was set up to service the pre-coolers and provide additional redundancy. A total of 15 ducts were installed to distribute the air evenly throughout the Coomera Indoor Sports Centre; this resulted in 1.5 km of duct being used in the building. To keep the weight under control, fabric was used along with 18 m risers which required specially designed air handlers to inflate correctly. When it came to the Athletes Village, the ducting was replicated on a slightly smaller scale; the key difference being the ceilings which were significantly lower. The joining kitchen area was serviced by a selection of packaged units and more traditional ducting. In total, close to 1500 kW of cooling capacity was used in the area. From a project management perspective, the Commonwealth Games provided a multitude of logistical, regulatory, and timing challenges. With a critical path program set procedures as well as strict OH&S processes and paperwork requirements, to tier one contractor requirements. As with any major project, timelines were fluid with bump in and out deadlines being brought forward on a number of occasions. Flexibility and forward planning meant that equipment was on standby and ready to go as soon as the green light was given. “We love the challenge of a large scale event, and we’re extremely proud of the job our team did with the Commonwealth Games and the feedback we have received from everyone involved,” said Shane. If you’re after a climate control and power solution for your event, speak to us today to find out how we can help. Contact your closest Active Air branch today. “I just wanted to put on record our appreciation at GOLDOC for the outstanding work carried out by Active Air at the Gold Coast Commonwealth Games 2018. 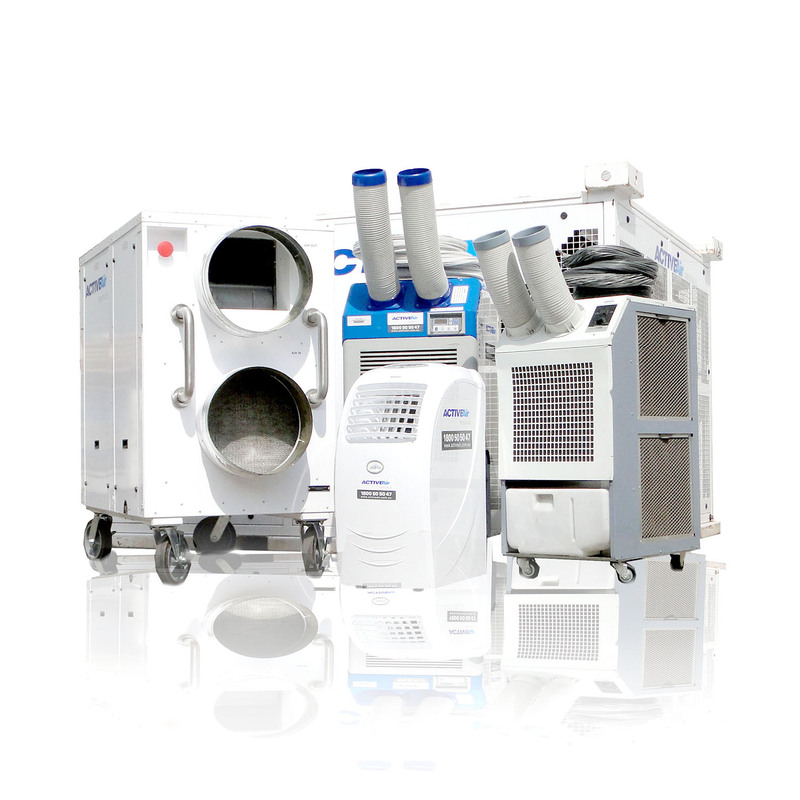 The temporary air conditioning solutions that Active Air provided us with were fantastic. Both yourselves and your team performed exceptionally and gave us a great product that we were very happy with.